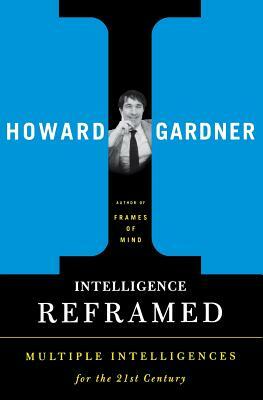 Harvard psychologist Howard Gardner has been acclaimed as the most influential educational theorist since John Dewey. His ideas about intelligence and creativity - explicated in such bestselling books as Frames of Mind and Multiple Intelligences (over 200,000 copies in print combined) - have revolutionized our thinking.In his groundbreaking 1983 book Frames of Mind, Howard Gardner first introduced the theory of multiple intelligences, which posits that intelligence is more than a single property of the human mind. That theory has become widely accepted as one of the seminal ideas of the twentieth century and continues to attract attention all over the world.Now in Intelligence Reframed, Gardner provides a much-needed report on the theory, its evolution and revisions. He offers practical guidance on the educational uses of the theory and responds to the critiques leveled against him. He also introduces two new intelligences (existential intelligence and naturalist intelligence) and argues that the concept of intelligence should be broadened, but not so absurdly that it includes every human virtue and value. Ultimately, argues Gardner, possessing a basic set of seven or eight intelligences is not only a unique trademark of the human species, but also perhaps even a working definition of the species. Gardner also offers provocative ideas about creativity, leadership, and moral excellence, and speculates about the relationship between multiple intelligences and the world of work in the future. Howard Gardner is the John H. and Elisabeth A. Hobbs Professor in Cognition and Education at the Harvard Graduate School of Education. Among numerous honors, Gardner received a MacArthur Prize Fellowship in 1981. In 1990, he was the first American to receive the University of Louisville's Grawemeyer Award in education. In 2000, he was awarded a Guggenheim Fellowship. He lives in Cambridge, Massachusetts.